The Pending Home Sales Index was up 1.4 percent to 110.5 in March from 109.0 in February. The index is now 1.4 percent above March 2015 (109.0). After last month’s slight gain, the index has increased year-over-year for 19 consecutive months and is at its highest reading since May 2015 (111.0). 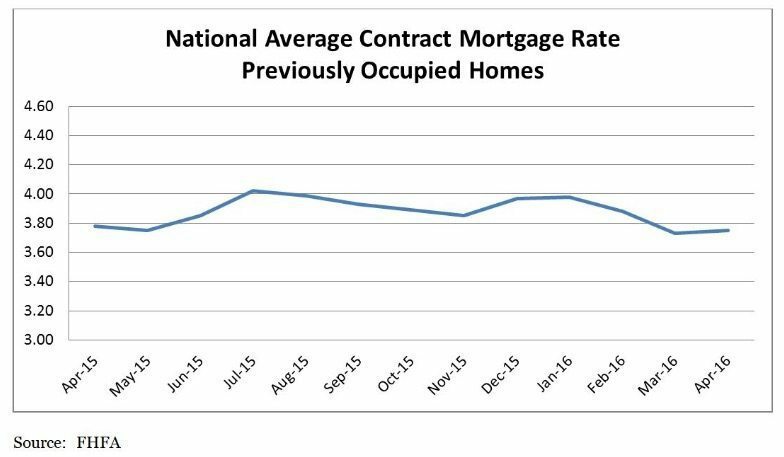 The average rate for a 30-year fixed-rate mortgage was 3.64 percent with an average 0.5 point for the week ending May 26, 2016. This is up from last week when it averaged 3.58 percent. 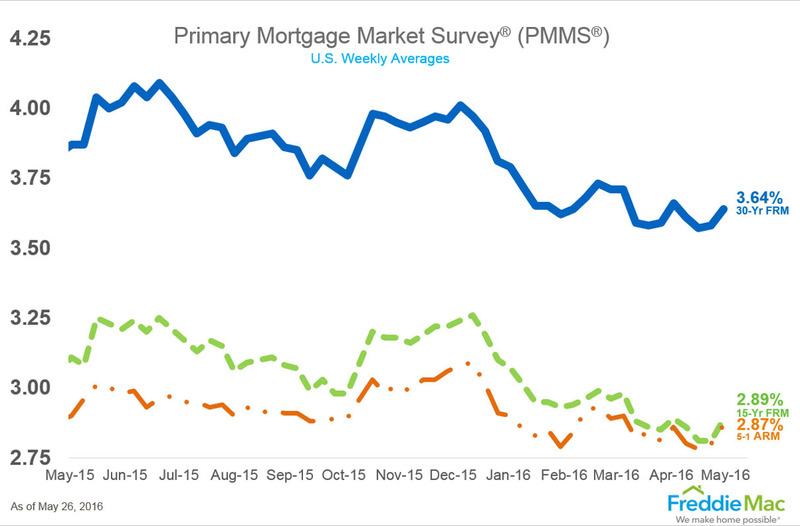 The average interest rate on all mortgage loans was 3.75 percent, down 1 basis point from 3.76 in March. The average interest rate on conventional, 30-year, fixed-rate mortgages of $417,000 or less was 3.94 percent, down 1 basis point from 3.95 in March. The average loan amount for all loans was $322,400 in April, down $2,600 from $325,000 in March.